Before I do the Tool Tuesday post, I have to share with you some I Spy stuff from today. Bath and Body Works has taken over my home. I should just move into the store and live there. I bet I’d have a lot of roomies too! 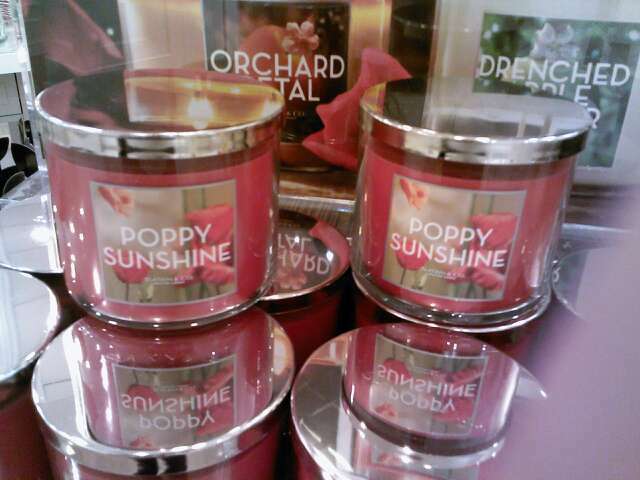 Poppy Sunshine is definitely one that’s going to be burning in my home office. 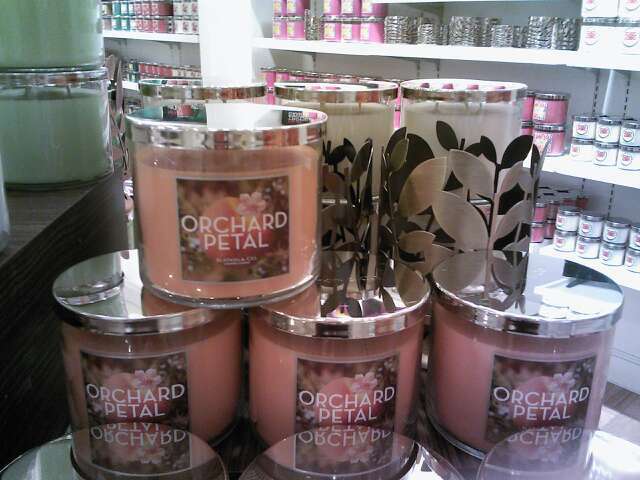 Orchard Petal is one that just may get. I did like it but I have to decide how much. A Pineapple fragrance and a peach one. Makes me what to get a straw and some rum! I got a little, sample candle of the Wild Strawberry, last week. Yummy. And, then there’s a berry fragrance, of course! I will get these two: Frosted Cupcake, ack, the only non-fruit in the bunch but I ran to it first. Then I had to take my first, ever insulin shot because it was soooo sweet. And, a Sage Cucumber. What a divine combination! Yep, that one goes in the blue shopping bag. We are having a Central Florida Beauty Bloggers meet up on Saturday. If we go shopping at Bath and Body Works, I’ll make my purchases then. 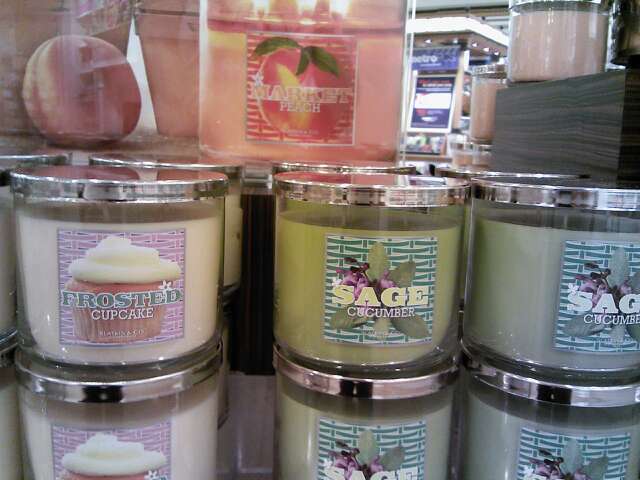 The 3-wick candles are not on sale, at the moment, but the baby sampler ones are 2 for $5. That’s why I got the Wild Strawberry and the Lemon Mint Leave samples to try out last week. 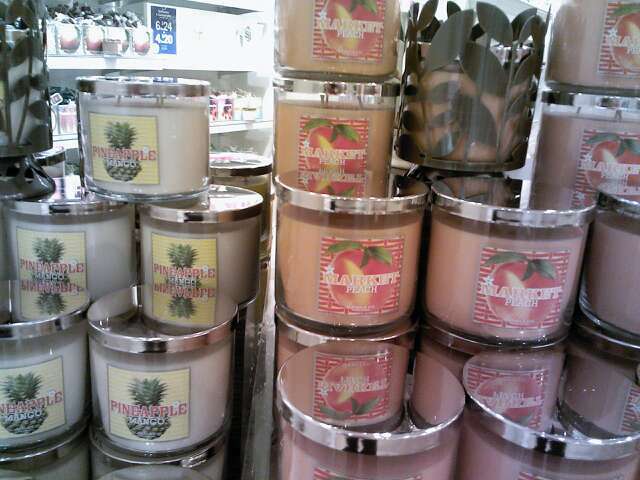 After about 15 minutes of snorting all these yummy candles, I left with my tummy growling. Neuro Drinks are totally new to me. I never heard of them until today. They are $2.79, which is $1.70 more than I spend on SoBe or Vitamin Water. But, these looked catchy and I like to try new things. Each color is for a different focus. As you can see, on the bottle, it not only says what it is helpful for but has cute copy to go along with it. (I think the bottle shape is weird!) You can check out their website and see all the different flavors they have. Wait…are you laughing? Don’t you think I should test something before I recommend it to you? Of course! And, stop giggling!!! Since it is ‘lightly carbonated’ I wasn’t thrilled with that. I stopped drinking sodas (my favorites: Cherry Coke Zero, Coke Zero and Pepsi Max) about 3 days before my last 5K race. So, I’m looking at just about 2 weeks soda sober. Sadly, Neurogasm isn’t going to make a good replacement. It reminded me, at first, of when Bartles and James went to fruity flavors and ruined the whole market for wine coolers. There are about 120 calories in each one. They all have their own focus and vitamin properties. If you want to be a sport, give one a try. My curiosity has been satisfied. I’m back to my Sobe Zeros. Will you be sipping some NeuroDrink with a Bath and Body Works candle next to you? 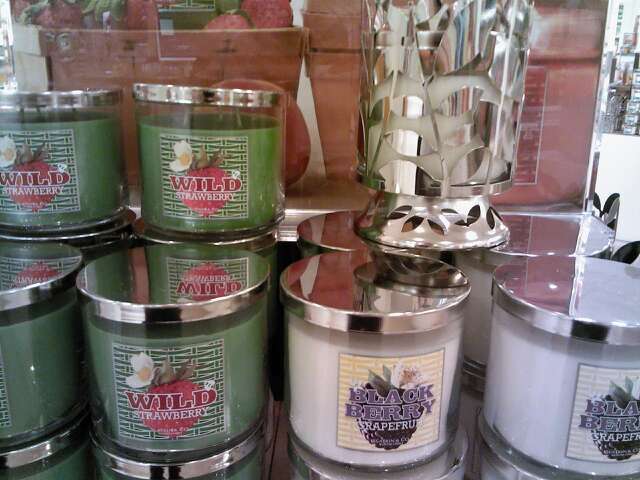 This entry was posted in Bath and Body Works, candles, drinks, I Spy by kimberlyp. Bookmark the permalink.